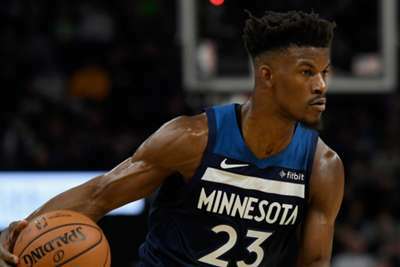 A smiling Jimmy Butler said being booed by his own fans was music to his ears after the wantaway Minnesota Timberwolves guard starred in a victory over the Cleveland Cavaliers. 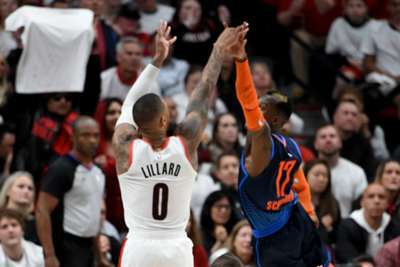 But the 29-year-old turned boos into 'MVP' chants in Minnesota's first home game of the season, which he ended with a game-high 33 points. "I knew it was going to happen, I knew they were going to switch up on me. It's part of it, I think there's probably more boos to come, one of these days." he said. "I like it, though, it's okay to boo me. I'm still going to play hard, I'm still going to try my best to help win games. Boos, cheers, silence, I got a job to do, I still play hard. "I think people kind of love to hate me sometimes, say whatever you want to say, but it really makes me smile what people think about me. But no matter what, you gotta respect my effort. "You may not like me - that's okay. But as long as you know that my mind and my heart is in the right place, that I do everything to win and I would do anything for my guys, I'm cool. "Boo me, hate me, just don't throw nothing at me, because now you're doing something different. "You can hate me because you read what you see in the media, but you really don't know what's going on."